Ben has a wide range of experience in complex litigation, corporate and health care issues. He is also a certified public accountant, and practiced with a Big Four accounting firm before attending law school. In the health care area, Ben has a national practice and has litigated cases in more than 30 states. 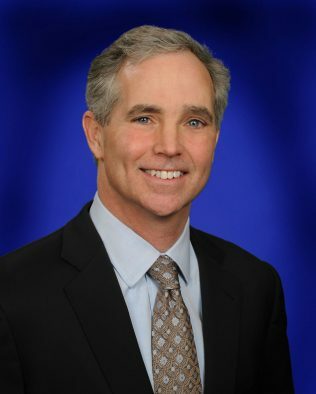 He has represented hospitals, skilled nursing facilities, assisted living facilities, rehabilitation hospitals, ICF/MRs, ancillary providers (including rehabilitation therapy, respiratory therapy and diagnostic imaging), institutional pharmacies, DME companies, staffing companies, physician practice groups and individual physicians. His experience includes not only litigation, but also counseling clients on business relationships, transactions, reimbursement issues, restructuring, government investigations, regulatory issues, and qui tam lawsuits. Ben litigated and successfully resolved a dispute between his client (a national health care provider) and another provider that involved the interpretation of successor liability as it relates to the assumption of a Medicare provider agreement. In another matter, he represented a national ancillary provider and obtained a judgment against a large nursing home operator. Ben regularly represents providers in litigation against insurance and managed care companies, negotiates contracts between providers, and litigates disputes for and against providers. Ben also prosecutes Medicare and commercial payer appeals on behalf of providers. In the business area, Ben regularly litigates corporate governance issues, fiduciary duty cases, and commercial disputes. Drawing on his experience as a CPA, he is regularly asked to litigate cases that involve financial analysis, including disputes over earn-out agreements and other financial terms included in business contracts. Ben has also handled numerous freeze-outs/squeeze-outs involving shareholder disputes in closely held businesses. Ben joined the firm after having served as Litigation Counsel and Director of Finance with a Fortune 500 health care company for approximately four years. In that position, Ben was responsible for all litigation involving the company and its subsidiaries. Ben regularly litigated health care (including reimbursement issues), contract, securities and employment cases. His other duties included managing various finance departments for a major division of the company.